A couple of weeks ago, I read a blog post by James Tanner Analyzing Brick Walls — a genealogical myth or reality? and saw a presentation given by him. It was a video of a live presentation. I couldn’t find a link to that video, for which I am sorry. It was a great presentation. After working through Mastering Genealogical Proof (MGP), DearMYRTLE’s study group on that book, and a dialog with Elizabeth Shown Mills (Evidence Explained) I think I am going to stop using that term. In fact, I rarely use it, but see it a lot on Facebook and other places where Family Historians hang out. I know that IF I hit my head against a brick wall, I am going to get a headache, or definitely warn out. It’s exhausting just running up to that brick wall, only to be pushed back. 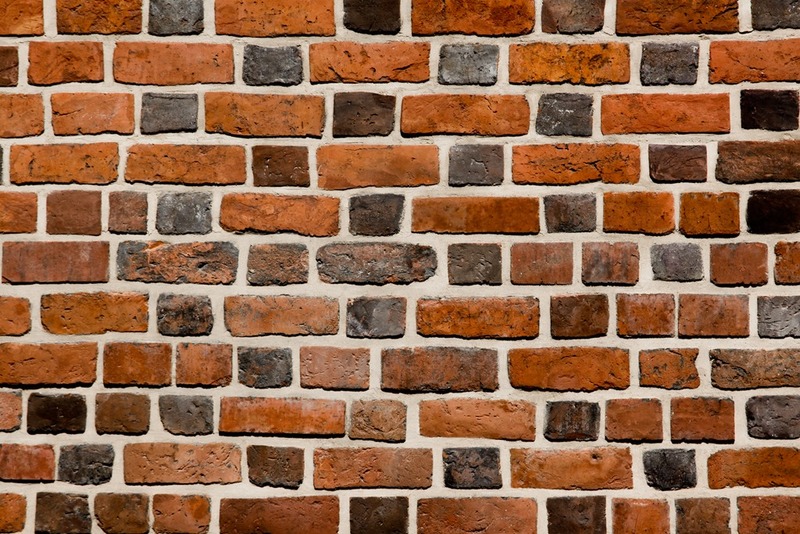 When working with a friend about their “brick wall”, I observed that they were so focused on that brick wall, that they didn’t see the answer, right in front of them. Isn’t that like Exhaustive Research, that we talked about in the study of the Genealogical Proof Study in Dr. Jone’s book? It’s like, to me anyway, the difference between Negative Evidence instead of Negative Findings, as Elizabeth Shown Mills taught me. When I run up to that Brick Wall, I am starting to STOP, and see if there is a way around it. Or, Look somewhere else. Another Genealogy friend, Judy Russell, The Legal Genealogist has a category on her Blog on Methodology. I have heard her speak in person, and each time reminded of “other” places to look. In cleaning up my genealogy database, my clean up is focused on my Sources, putting them into the correct, Evidence Explained!! format. A long project, but so worthwhile. I was doing this clean up for one reason, formatting of the Reference Notes, that what I found was a number of pieces of information that I had over looked the first time (OK, couple of times). Right there in front of me, was the piece of information that I was looking for. It wasn’t a brick wall after-all, I just didn’t look enough. I think that a number of folks in the MGP Study Group had the same experience. Of course, I have learned much about research since that first time I looked at those sources. In another example, I was trying to prove or disprove that a gentleman served in the Civil War. That’s when I learned about Negative Findings instead of Negative Evidence. I had been looking at this one document, a couple of other helpers looked at it, but missed the one small piece of information that was in the Log Book. To make a long story short, the County was wrong for MY person. Right state, wrong county. Learned Lesson: I am going to change Brick Wall to Keep Looking and sooner rather than later. Have you done an Extensive Search? I posted a story about a Book that was on my Wish List. That post was just the beginning of a journey for 2012. Some of you may know that I use the Family Tree Maker program. Current Version is FTM2012. It has a new feature, TreeSync™. I had the genealogy information on my iPad2 to help with the research. Didn’t take too long, couple of minutes at best. I clicked, read, my daughter typed. It was all available to me. This isn’t the first time, since FTM2012 was made available, that I have done this same time. Christmas Brunch was over, watching a couple football games, opening presents, basically, chillin’. When I was looking at the tree, giving my daughter Names and Dates, one of those Shaky Leaves appeared, where I had not expected it to appear. I have to be honest here, I haven’t actively done too much research for Capt. John Worthington for quite a while, as every time I do, I run into a brick wall, or bad information, information that I already had, already dismissed. Just hadn’t found something to help be identify who his parents were or where, besides “England” was he born. The experience with Inferential Genealogy, and listening to Michael Hait of Planting the Seeds in a webinar and in person in his lecture “What Is a ‘Reasonably Exhaustive Search’?” with Michael Hait, CG”, reminds us to keep looking. Marian Pierre-Louis of http://rootsandrambles.blogspot.com and her Webinar for LegacyFamilyTree.com on “Brick Walls: Cracking the Case of Nathan Brown’s Parents“, for this humble researcher are saying the same thing. Don’t Stop Looking. The series that I posted here on Inferential Genealogy is Dr. Thomas Jones term. Working with that series of steps taught me a number of things on where to look for “stuff”. What might be important records to look at, where to find time. Looking at my own file, I have looked at the same things over time. Keep going back, but finding what I already found. That Shaky Leaf (Thank you Ancestry.com) reminded me that I had NOT looked everywhere. In fact, in one series of records that I had spend some time with looking for David Ridgely Howard. That Shaky Leaf was for a Sons of the American Revolution application, for someone I didn’t know, but Capt John Worthington was listed. The way the Ancestry AP works on the iPad2, didn’t let me see more than one page of the SAR. That paged did NOT mention Capt. John, but the Hint (Shaky Leaf) did. Not wanting to spend any more time with this find, as I know it will take some time to work with the information. closed down the iPad2, ate a wonderful dinner, and headed back home. I learned a lot over the past couple of months in how to better manage the data that I have. There are new features in Family Tree Maker that are new, some that I may not have used before, but to help me find David Ridgely Howard, will now be part of my research for the coming year. (starting later today). In 2012, I am going to clean up my research, using the skills learned in 2011, use the tools within the program as well, and will start with that small Shaky Leave on that Ancestry AP. I have a notion that this experience may also help with another Brick Wall that I have been working on. My Question: Have you done an Extensive Search? Are bloggers the new “experts”? Genea-Blogger Michael Hait posted this today. I recommend that you read Michael’s offering. You might ask, so what if those old local societies disappear? We have the GeneaBlogger community or that Facebook group to support us. GeneaBloggers do not generally scour every cemetery in a specific county and publish full listings of the gravestones. Genealogical societies do. GeneaBloggers do not abstract all of the obituaries of some small county newspaper from the mid-19th century and publish them. Genealogical societies do. GeneaBloggers do not maintain genealogical libraries containing decades of work on local families. Genealogical societies do. GeneaBloggers cannot go back to 1965 and reproduce the resources that were transcribed by the local genealogical society before that big hurricane or tornado hit and destroyed everything. These resources can only remain available as long as we continue to support the societies that provide them. I am certainly not an “expert”. I am not trained, no plans on doing so, but do try to lean. No Expert Here. The article caught my eye because I had just returned to a “local” historical society, and cemetery. I am involved as an “active member” of a local Family History Interest Group. By active, it’s more then attending meetings. I have share my research experience through presentations. I do that in hopes that others have a few more tools in their research tool kit to help with their research. This group is not a “Genealogical Society” but are Family Researchers. Most of my presentations are put together by blogging about my research, or how to use research tools that are available to us. My trip this afternoon was to visit the local Historical Society to do some research. I took with my another one of my Research Tools, a Flip-Pal. There were 6 or 7 researchers in the library and were amazed as to what the Flip-Pal could do. One of the “officials” at this historical society, went to LegacyFamilyTree.com and put an order in for one. He saw what it could do. I had blogged about it, and had some pictures on Flickr for a couple of my project, that instantly caught his attention as he has some projects he was struggling on how to attack that project. The Flip-Pal appeared to be the answer to his question. Again, I was only sharing my experience with his Historical Society. The flip side is that he shared the frustration in getting folks involved with the Society. I have also talked about cemeteries, I take pictures, post them on Find-A-Grave, and my blog. Certainly those won’t be picked up by any Genealogy Society, but as a Blogger, I do try to capture pictures of those headstones and make them available. To me, this is another way, as a Blogger, to share. Have I gone into a cemetery and taken every headstone that was there? No, but I did take one cemetery and I did take all of the readable stones and posted them. I don’t just take pictures I HAVE to, but try to take Find-A-Grave requests. I agree with Michael, but I am NOT an expert. From the Blogs that I read, and that is probably about 1,000, it’s about Sharing of our experience in doing Family History Research. The flip side, and the major comment from the Historical Society, was getting Help from folks, in the area, to help preserve what they have. I do what I can do, try to share my experience, and try to encourage others, bloggers or no, in doing the same. I HAVE offered to a local Historical Society, to do some work, but haven’t had the call back requesting help. I belong, pay my dues, and show up from time to time, offering to help. I hope that these Historical Societies, nor Genealogy Societies don’t “go away”. We will loose some valuable history. I am sure that other Genea-Bloggers read and comment about Michael’s offering to us, and comment on how WE, the Genea-Blogging community can help these Societies survive. Back to posting some headstone pictures I captured today. I have been looking for information about WHY my grandfather worked on a farm in South East, Putnam County, New York. Have visited the property and knew who the Doctor who was the owner. Searching for what I know would not provide the NAME of the sanitarium. The rumor was that it was a place for Civil War soldiers. While attending the New England Regional Genealogy Conference, I stopped by the New York Genealogical and Biographical Society booth and asked “where can I find more.” While telling the story, asking my question, I was reminded to look at in the Census. Well, I had, because I was looking at the 1910 Census Record for my grandfather. Couldn’t find him and didn’t go back nor try to find him. The very nice people at the table, said “did you check the census record”. What I was reminded was to go back and look for the Doctor. I only knew the Doctor’s surname. Found a couple of likely hints in my search, looked that a record that had the most correct information. It was a ‘hint’ for a female. Looking at the Census Record had the female (wife), AND the Census Record was a little difference, in that it was on a separate page, what appeared to be at the end of the Census Record for that town. It was a complete listing of everyone who was either employed there, patients, and lived on the property. Still looking at Census Records for my grandfather again, in 1910 when he should be there, the town, nor neighboring towns wouldn’t come up. Oh to find that census record. In a lecture at NERGC given by Sharon Sargeant, she reminded us to go back and look at where you have already looked. After all, you probably have more information when you looked that “last time”. This was a great example, to go back and look. We are members of the Connecticut Genelogists, [ sic] Inc. and as members we get three free queries an issue. If you send us your queries for the Newsletter – put a note telling us you want it to go to conn. also. They have over 8,000 members – good coverage. The first three-get it. We have contacts in many states, and in many Genealogy Societies – ask maybe we can help. We’ll try. At the present time we are doing research on Samuel Worthington B. _____ mar. Alicia Elzey. Samuel located in Somerset County, Md. We have not been able to find any relation to Samuel to anyone both here in this country and England. We put in a small sketch of Samuel – maybe someone can help. Don’t forget to answer your Newsletter with lots of queries and some family history and articles. Frequency varies: quarterly (1982-1986); three times per year (1986- 1987); quarterly (1988- ). Back issues available on microfiche. Newsletter for the interchange of genealogical data and history of the Worthington families who lived in England as early as the 1100’s, and immigrated from England and Ireland to America. One ancestor was John Worthington (1650-1701), who immigrated in 1664 to Anne Arundel County, Maryland. His and other Worthington descendants and related families also live(d) in Alabama, Arkansas, California, Connecticut, Florida, Illinois, Iowa, Kansas, Kentucky, Michigan, Massachusetts, Mississippi, Missouri, New York, North and South Carolinas, New Mexico, Ohio, Pennsylvania, Tennessee, Virginia, Texas, Wisconsin, Ontario and New Brunswick (Canada), in Australia, and elsewhere. Also includes Brengle, Elliott, Hopper, Reeve, Shipley, Warfield, and other related families. Library lacks: Vol. 1 no. 2; and vol. 9 no. 3.
v. : ill., coat of arms, facsims., maps, ports. Holdings: Sample issue [vol. 1 no. 1] ; vol. 1 no. 3 (1983) – vol. 9 no. 4 (1991), with some issues lacking. Back issues on microfilm and microfiche. Salt Lake City, Utah : Filmed by the Genealogical Society of Utah, 1986-1993. 4 microfiches.+ on 1 microfilm reel ; 35 mm. What is being posted here, over time, will be these News Letters, from copies that I have. I am developing a spreadsheet that will have the list of names included in these news letters that will indicate the Volume and Number of the issue where the name was mentioned. Where possible, there will be a Tag, on the posting, as to which Worthington line, in the United States, the name is attached to. Please post a comment if you have further details on the individuals listed.